Jim demonstrates the speed, accuracy and strength of Dowelmax to make a perfect wood joint. 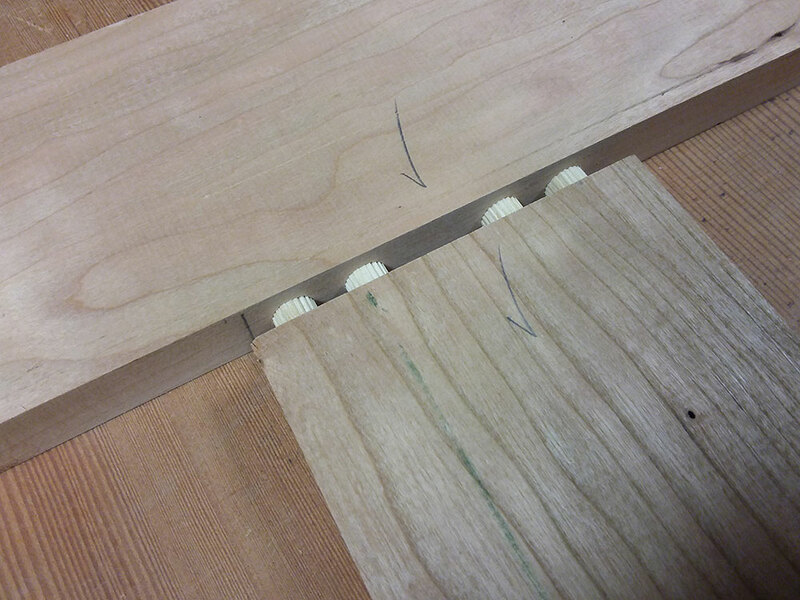 T-type Joint Made in Demonstration Shown Partially Closed to Show Detail of Multiple Dowels. 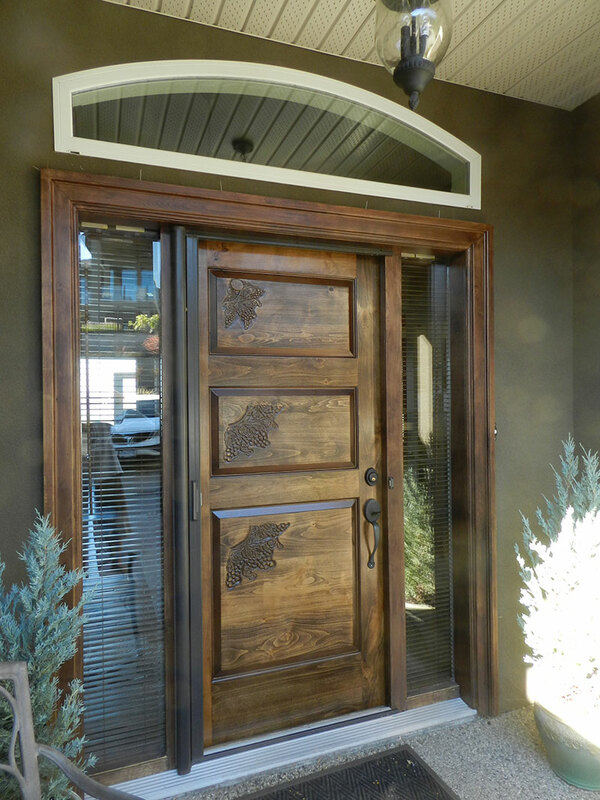 The front door that I built twelve years ago with 100% dowel construction after refinishing and reinstalling in August 2017. I recently had an experience which I think is worthy of mention. 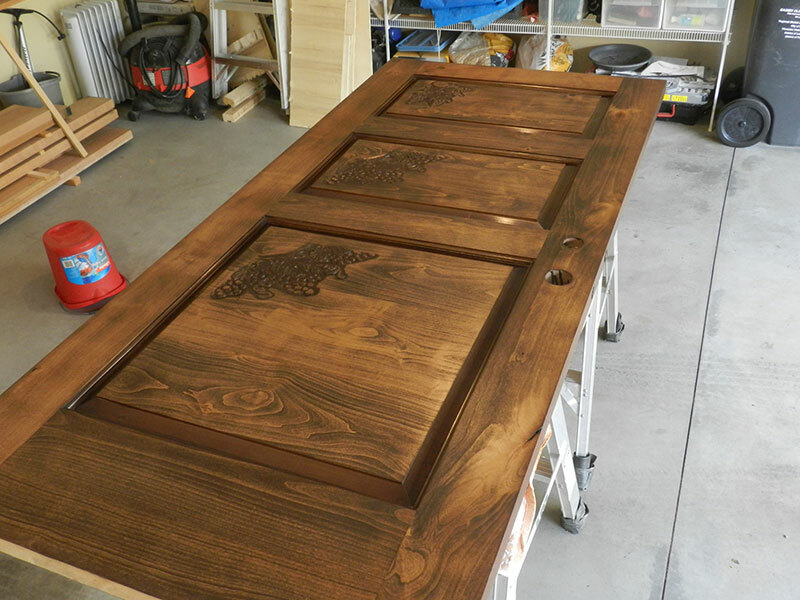 I had built a substantial front door for our house in Kelowna about twelve years ago. The stock is 1-3/4 inches thick, and the material is alder. The design is 100% dowel construction. 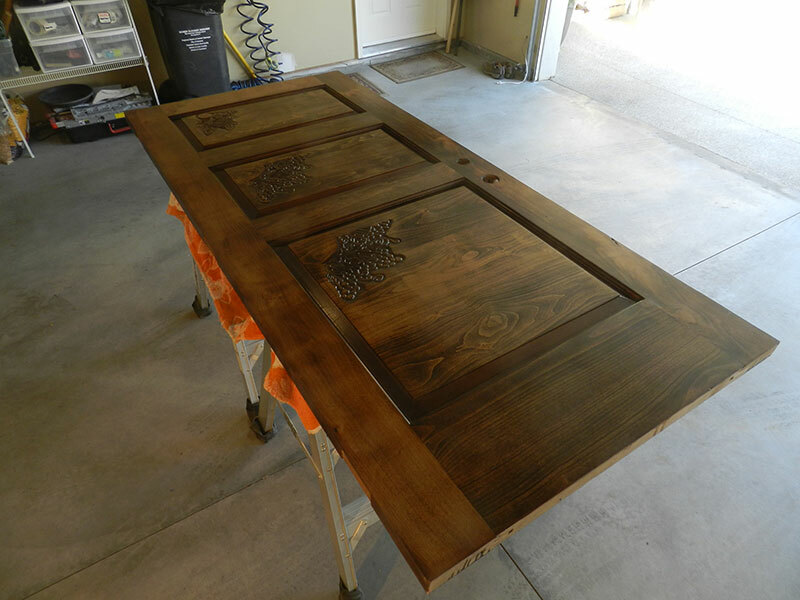 The door faces due south, and for several hours per day, during the summer the door surface is subject to intense heat. We are in an inland area with a continental climate so the temperatures can range from minus 15 F in the winter to highs in the high 90’s in August. In other words extreme variations. In early 2017 I noticed the surface coating was deteriorating, so decided to remove and recondition the external surface. I was at that time curious about the condition of the joints both at the juncture of the rails and stiles, but also at the three wide carved panels, which were also doweled. After extensive sanding down to 220 grit and examination of the surfaces and joints I found everything was in first class condition with no signs of separation or weakness whatsoever. Front door built twelve years ago with 100% dowel construction. All joints are still strong, and perfectly intact. Another view of the front door during refinishing showing the twelve year old dowel joints perfectly intact. People underestimate the strength of dowel systems. The strength of our system is related to (1) Accuracy. (2) Geometric configuration (contoured shape) (3) Close spacing. 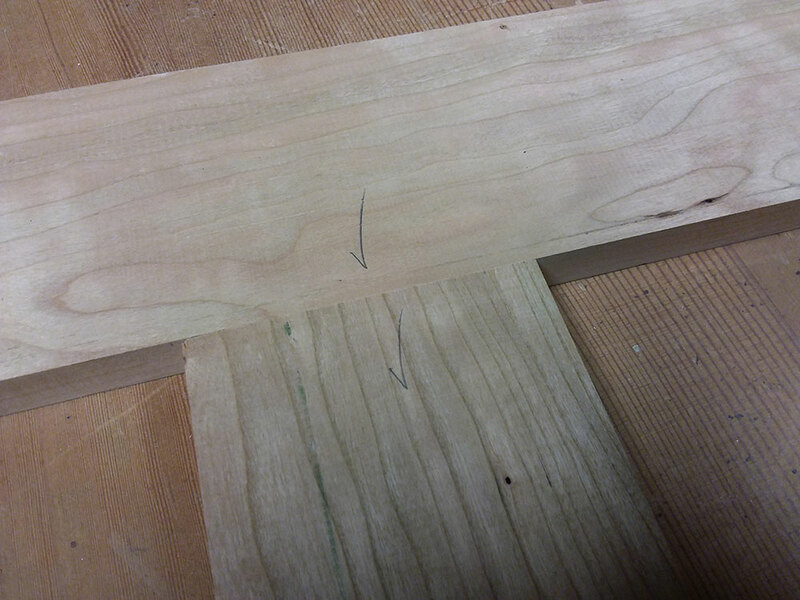 Other factors are the emergence of high quality hardwood dowels, and superlative glues. About eight years ago we designed and built a rock solid work bench from Douglas Fir. It’s on castors, is used and moved daily and remains rock solid to this day. 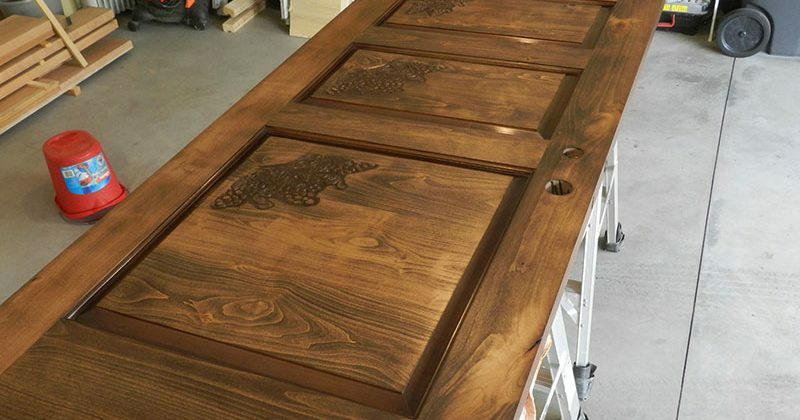 Some of the items of furniture I’ve designed were built twenty to twenty five years ago these include desks, dining tables, chairs, and numerous other items. These remain in use today. We did the Harrogate show, lots of interest and a few sales, which is what I anticipated. I have always felt that we are not in competition with other doweling jigs but with mortising systems i.e. 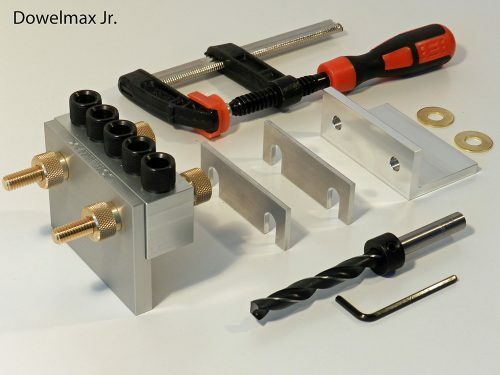 Domino, chisel mortisers, router jigs etc. with the main one being the Domino so I took the opportunity to try it out on the Festool stand. I tried the larger machine which sells for £850 over here which although expensive looked quite good on the videos I have seen and it is certainly a big seller. What an eye opener. I used it with the 10mm bit to cut mortises 25mm deep and was totally unimpressed with its handling and performance. Heavy, cumbersome, not fast and needing quite a lot of force to penetrate the material. This quite apart from the fact that the joints have to be marked out and the machine set up for depth, width and height of cut which is also time consuming. Making the stools I sell using Dowelmax I can cut about 50 joints an hour with no great effort. Using the Domino I doubt if I could do half this and would be exhausted at the end of it. 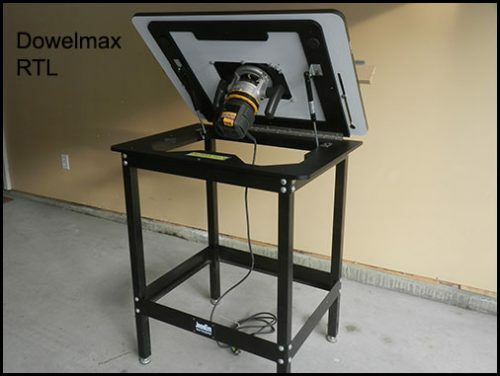 For speed of use, ease of use, speed of set up and accuracy the Dowelmax out performs the Domino every time. As for joint strength we already know that dowels are stronger and for larger projects it is easy to simply increase the number and length of the dowels. In fact with the smaller Domino the depth of cut is fairly limited thus limiting its use on heavier projects and requiring people to trade up to the larger machine. The success of the Domino is a testament to good marketing rather than good performance. 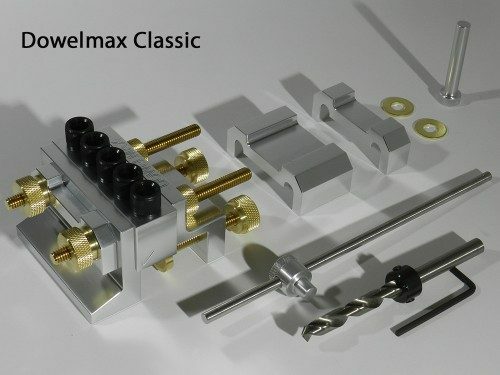 I have never been in favour of knocking other peoples products but if you were to shoot some videos of comparisons between Dowelmax and Domino illustrating the above points and also throw in some router mortise and chisel mortise examples I think it would go a long way to disabusing peoples positive view of the Domino compared to the Dowelmax.